Man O’ War: Corsair is a video game of high adventure, naval combat and exploration based on the Games Workshop classic Man O’ War table top game. As well as sea battles, engaging in boarding actions with enemy vessels sees you walking the deck, blunderbuss in hand, attacking enemy crew. Loot the vessels or sink them, the choice is yours. Buy a variety of unique and deadly ships. Command allies from different races and fight many deadly enemies including: Fierce storms, deadly fleets and terrible foes will block your path to ultimate glory. 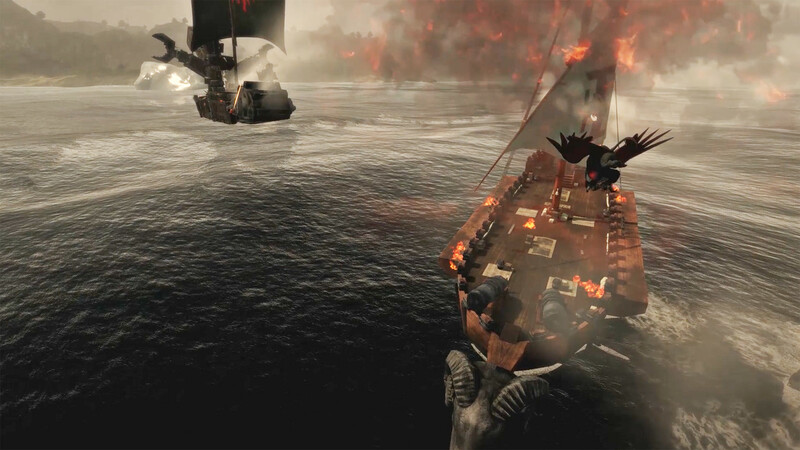 A captain in Man O’ War: Corsair can sail the coast of a huge continent in the Warhammer world. Visiting over 50 ports from Erengrad to Sartosa, the sea is yours to explore. A heroic adventurer does not only have enemy ships to contend with. The deep and unexplored oceans hold terrifying creatures that few see and live to tell the tale. These deadly creatures emerging from the deep sea will chill blood and drop jaws in equal measure. The wise would attempt to flee but those brave enough to tackle such creatures will be famed throughout the world. Navies no longer pursue you quite so doggedly if you’re friendly to the faction.